Mount Shasta, before the storm. As noted in the image above, the storm was heralded by some near-lenticular clouds. These clouds frequently indicate the coming of a storm. 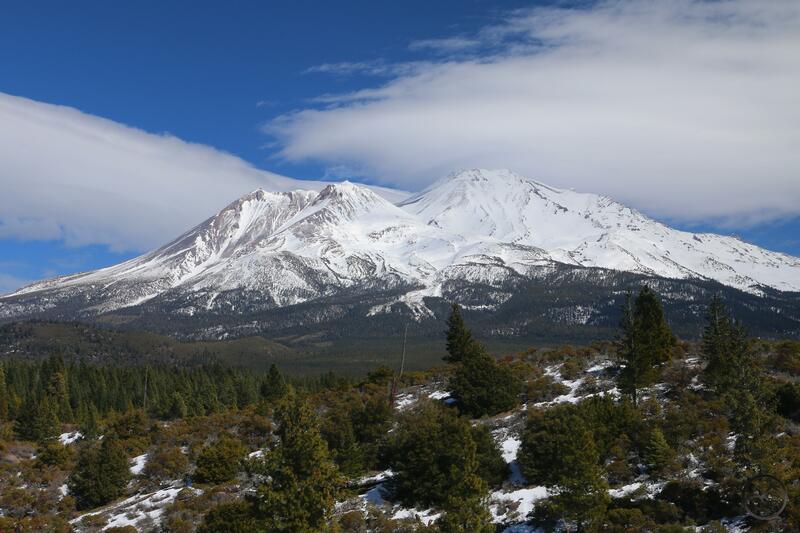 The subsequent weather system that moved through the area yielded a fair amount of precipitation and we have endured a week of soggy, rainy weather here in Mount Shasta. While the water is welcome, it is generally not the most pleasant while in the midst of it. It’s right at the point where it is too cold to just head out and do something fun but not cold enough to snow. Fortunately, we are nearing the end of winter and warmer temperatures are coming, even if they have not yet arrived. Yesterday I had some business in the Shasta Valley and used that as an opportunity to check in on the Shasta River. While not nearly as large as the nearby Sacramento or Klamath Rivers, the sight of the Shasta River running through the high desert of the Shasta Valley is always a pleasing sight to my eye. Many places along its course remind me of parts of New Mexico I frequented while I attended gradschool in Texas. I tend to have three areas I like to check out. One is at the point where water the water was diverted to the Yreka Ditch, and then another downstream from where water is diverted from Parks Creek into the Shasta River. The third spot I like to examine is on Parks Creek, once water has been diverted over to the Shasta River. Upstream from the Yreka Ditch diversion, the Shasta River had pretty good flow. However, further downstream and beyond the point where water is added after being diverted from Parks Creek, the Shasta River had decent flow, but it looks more anemic than I anticipated. Parks Creek itself did not have very much water it. Considering the warm rain we have been having, I expected more water . This last storm definitely seemed to break at the southern side of Mount Shasta and the rainshadow was making itself known on the north side. Very little snow fell north of Weed. I think that the lack of runoff at this point is due to the low temperatures in the mountains, so snow has been falling at higher elevations and the warmer rain here in the low areas. If that is the case, it bodes better for summer. The snow certainly is melting rapidly at my house. 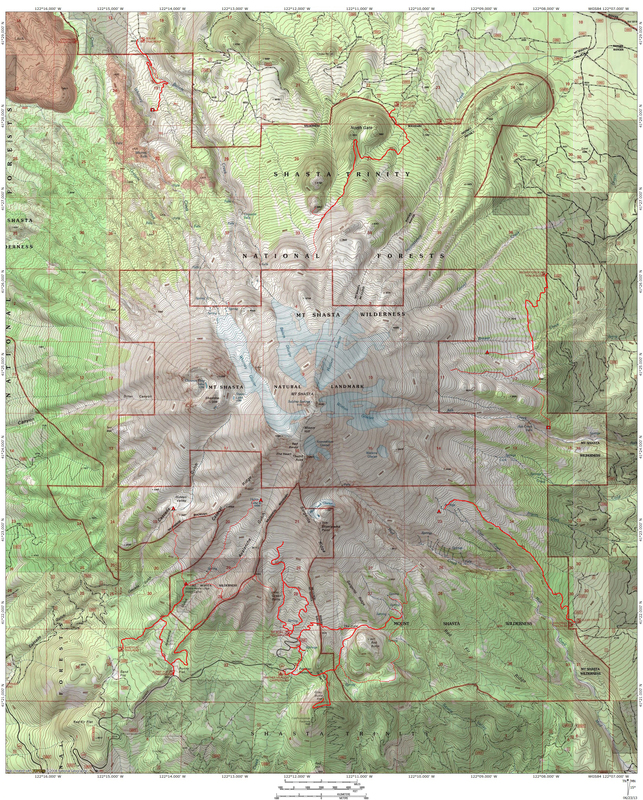 I am higher up than Mount Shasta City and the difference is striking. The snow is almost entirely gone in town but I still have a bit where I live. Backyard midway through the storm. Though there seems to be more wet weather coming, this weekend seems especially nice, with warmer temps and sun. Sunday looks to be a great day to get outside. I may have more on that tomorrow morning. 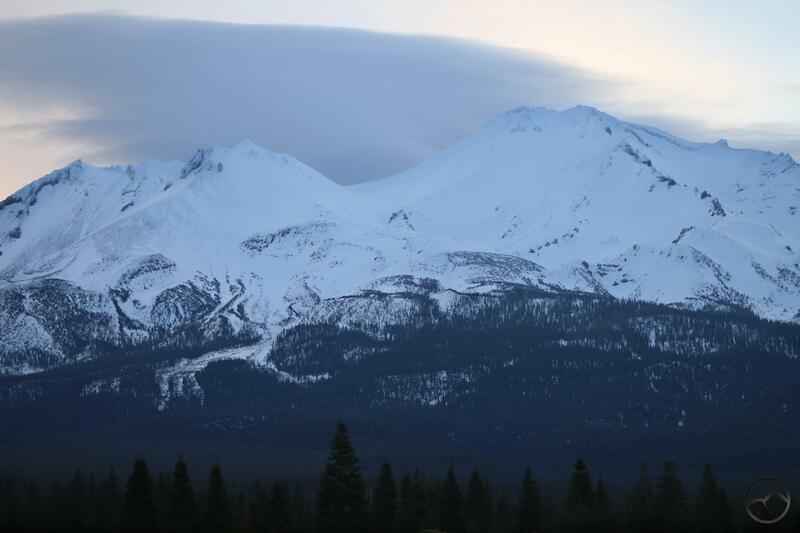 The cloud on Mount Shasta this morning really wanted to be a lenticular, but couldn’t quite muster the strength to do so.